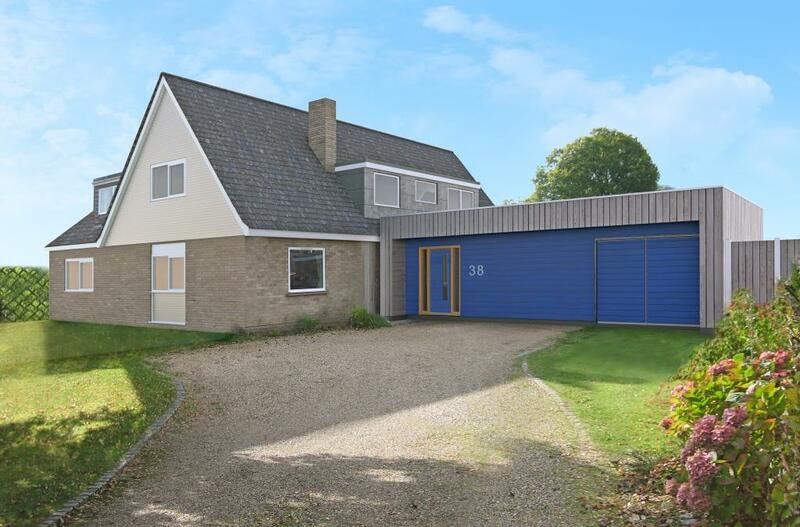 We updated this spacious 1960s home to better suit a growing family, and to create an annex for grandparents or au pairs, as well as space for a gym or garage. 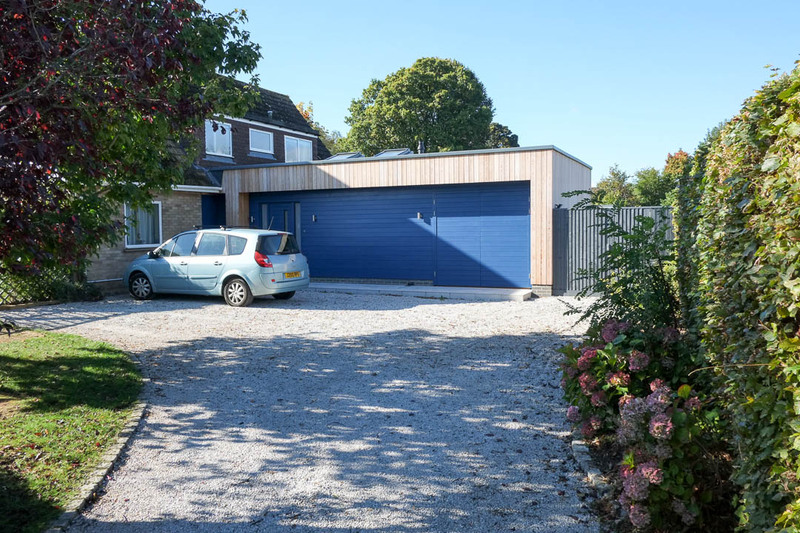 Our timber-frame design minimised construction time on the extension, and allowed for outstanding insulation. 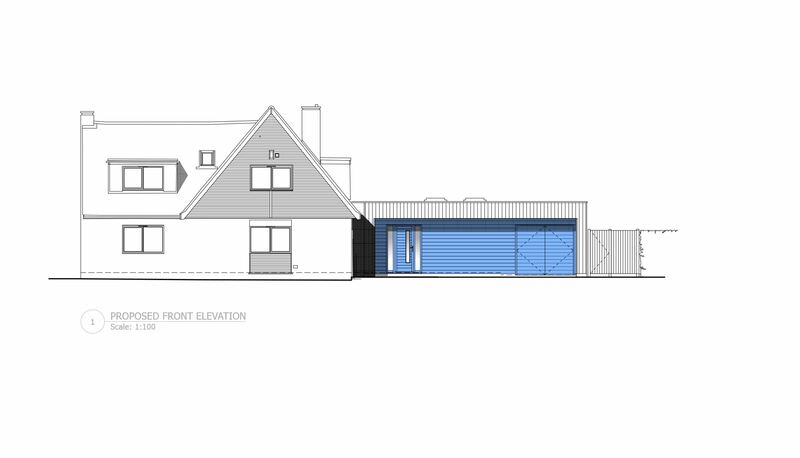 The structure is also clad in timber, to fit in with existing boarding. 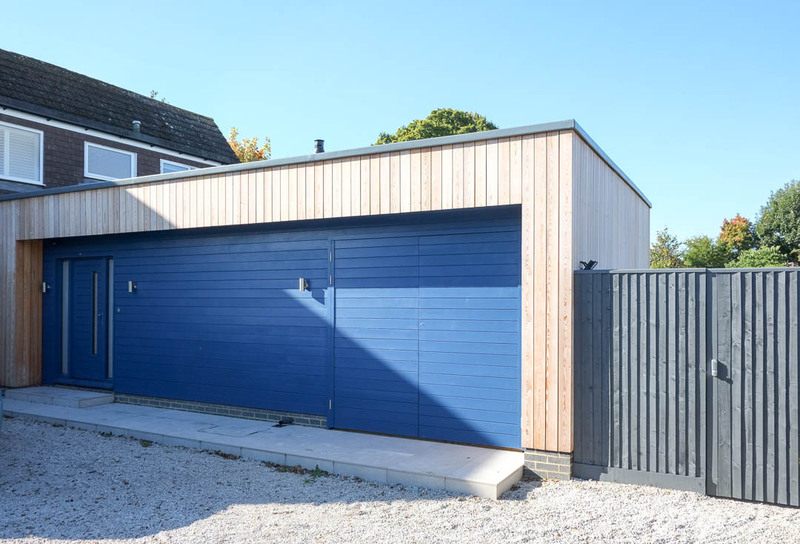 The main part of the extension is clad in vertical boards, with contrasting horizontal boards on the entrance area. The original kitchen is now much larger, creating a spacious open-plan area for cooking, dining and relaxation, with a large sliding door onto the garden. 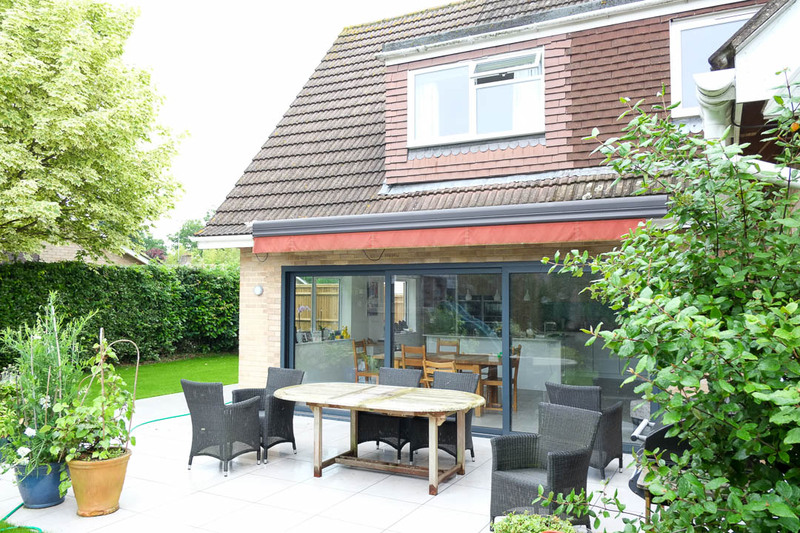 Windows and automatic rooflights provide plenty of natural light, and the rooflights also offer passive ventilation to reduce heat in the summer.